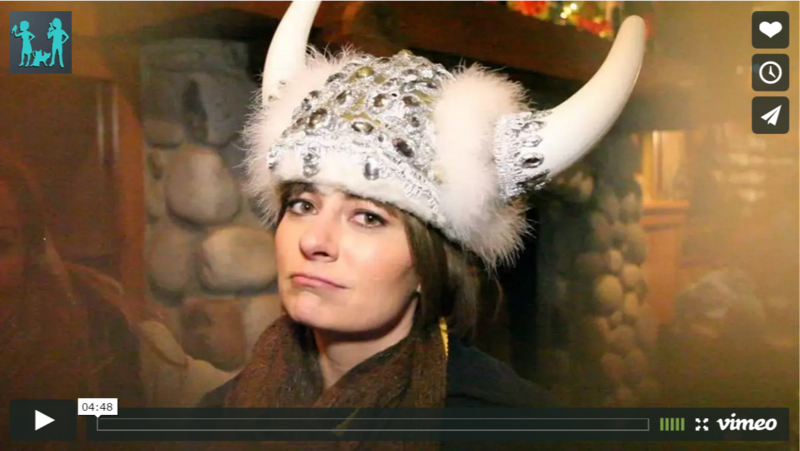 Tonight we bring you along to the Ullr King and Queen crowning and Bonfire! It’s cold as the dickens but we’re braving the elements to bring you this video. Thanks to the complimetary Ullr Schnapps we’re able to at least stay warm on the inside. Enjoy. I really like the jeweled helmet. I bet you could make one for next year all by yourself, you crafty girl! I am considering making one! They are pretty cool. I am considering it….I can be crafty. Of course you do…me being goofy is always your favorite!